We want families to talk early, talk often, and be happy. #TalkEarly was created with a simple goal in mind: Empower parents to be confident about their own decisions regarding alcohol, model healthy, balanced behaviors, and create a foundation for starting conversations with their kids from an early age. #TalkEarly bloggers discuss the many meanings of leadership. Let us help prepare you for tough conversations with your kids about underage drinking. Follow #TalkEarly on Pinterest for more inspiration and ideas! What will you say if your child asks for a sip of alcohol? 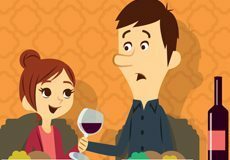 En Español: Haga clic para descargar el folleto Pregunte Escuche Aprenda ¡Los niños y el alcohol no mezclan!